De Leon, ’13 MA Counselor Education, guides SJSU students on their journey toward opportunities in Silicon Valley and beyond, counseling and connecting them with employers. Her own persistence was fostered by her Mexican immigrant parents, who supported their two daughters in the United States and family back in their native country, having come here with little education but great drive. De Leon’s sister was the first in their extended family to attend college and De Leon soon followed, studying cultural anthropology at the University of California, Santa Cruz before earning a master’s degree and pupil personnel services credential in counselor education at SJSU. A Career Center peer advisor while pursuing her master’s degree, De Leon now guides students toward making a successful transition into the workforce by helping them tell their own stories to prospective employers. 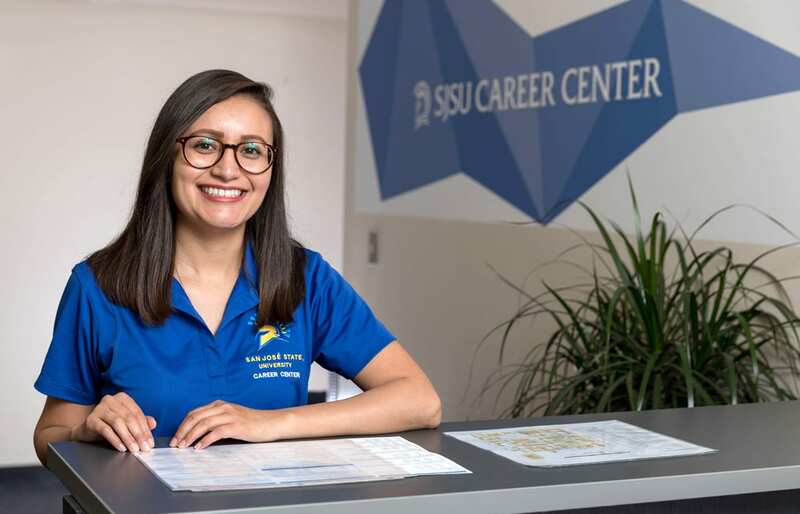 Learn more about SJSU’s Career Center.